If you love to score goals, you’ll love the drills in this book! Training Sessions for the 4-3-3 is a special book focused on developing the mindset, technical skills and attacking attitude needed to play the 4-3-3 to devastating effect. Every aspect of the 4-3-3 is covered, so you can deliver more focused training session and give your players the skills to score more goals on match day. Are you struggling to improve the attacking instincts of your team when playing the 4-3-3? Do they run out of ideas on how to get the ball into the box? Or how to beat the opposition to get through on goal? If so, you will want to check out the drills and exercises in Training Sessions for the 4-3-3. Based on seven months of research and training with a professional Academy team, this book reveals all the drills and exercises you need to transform your team into a devastating attacking force. 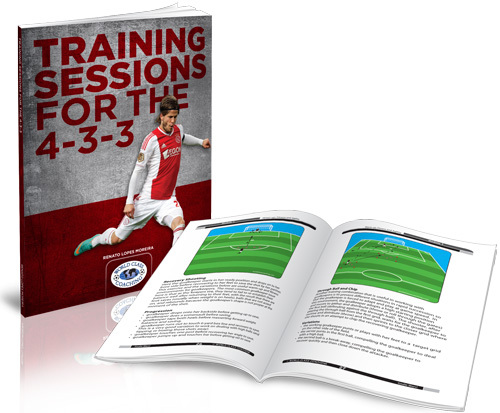 This highly focused book is packed to the brim with training drills for improving different aspects of the 4-3-3. This includes finalization exercises to improving passing and dribbling; technical circuits that mirror real game situations in the 4-3-3; tactical exercises for developing the situational awareness of where to play the ball and offensive plays for getting the ball into the box. When harnessed all together, this book gives you a complete training plan for playing the 4-3-3 effectively. Along with improved technical skills, your players will know where they need to be and where to play the ball in order to start scoring prolifically with this highly attacking formation. 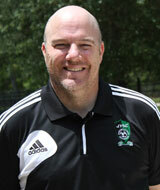 “As the Director of Coaching of a club in Florida, I have asked the coaches to begin teaching our kids the 4-3-3 system this year. Most of our coaches are familiar with the system by watching or coaching against it. This book helps break the system down to its most basic areas. The author has made it simple to understand to all coaches, regardless of education, by showing examples through diagrams of this system at the technical then tactical level. He also incorporates tactical functional sessions that my coaches can use in their training sessions to help our players grasp the new system. The 4-3-3 first exploded into world soccer when the Dutch introduced the concept of total soccer and a more fluid style of play designed to counter England’s rigid 4-4-2. The greater attacking options of the 4-3-3 saw it rise to dominance throughout Europe, and it became the formation of choice for elite sides. The 4-3-3’s strengths lie in harnessing the athleticism of agile, mobile and versatile soccer players. It relies on creating lots of passing options to exert dominance over the opposition in the middle of the field and to maintain possession. For this reason it is highly favored by attacking sides with strong forwards and speedy wing backs. Over the last decade the 4-3-3 lost ground to the more fashionable 4-2-3-1. But that is beginning to change now that the defensive frailties of the 4-2-3-1 are being exposed and elite coaches prefer the time proven strength and reliability of the 4-3-3. Training Sessions for the 4-3-3 provides all the drills you need to replicate elite sides that play the 4-3-3, including Liverpool, Portugal and Barcelona. What’s more, it shows you how to adopt a high pressure, ball hungry philosophy, with adventurous wing backs bombing forwards and a team able to create passing options all over the pitch. The author of Training Sessions for the 4-3-3, Renato Lopes Moreira, has been involved in soccer coaching ever since graduating from the Federal University of Viçosa (UFV), Brazil, coaching in schools and clubs across the city. In addition, Moreira has participated in many of Brazil’s popular soccer coaching events, including Footecon and FCB School Coach Clinic. In 2009 Moreira coached at Ipatinga Futebol Clube U-15 before leaving to coach at the Federal University of Ouro Preto (UFOP) as a Technical Coach of Physical Education, training both indoor soccer teams of UFOP. In 2013 he coordinated a project for U-15 and U-17 players, in partnership between UFOP and Association Athletic Aluminas. 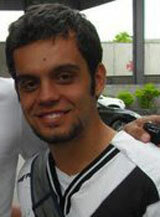 Moreira was the technical coordinator of the project, responsible for bringing the coaches together to define the model of play and training exercises. The drills in this book are divided into sections to focus on different aspects of the 4-3-3. This enables you to pick them out and drop them into training to improve any area of your formation you think is weak. Along with an extensive and wide array of drills, Training Sessions for the 4-3-3 also provides insights on how you can adapt the formation to match the capabilities of your players. In the first chapter Moreira looks at the roles and responsibilities of players in the 4-3-3 based on his own team’s playing style. First of all he analyses their previous style of playing using a 4-4-2 before they transitioned to a 4-3-3. In particular, he describes how they utilized one attacking winger on the left and a more defensive winger on the right. This reflects how you can adapt the formation to suit the attributes of your players and the way you want to play. In this chapter you’ll find some highly unconventional warmup drills you’re unlikely to find anywhere else! If the Dead or Alive, Funny Warm Up or Pass Through the Pitch aren’t yet part of your training preparations they might soon be as they enable you to create invigorating and fun warmup sessions for your players. The drills in this chapter focus on developing the dribbling, passing and movement of your players. These drills will help your players to increase their speed of play and their ability to beat defenses with smooth passing moves. 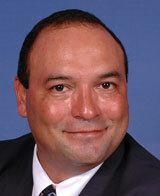 Moreira explains how to setup advanced training circuits with a variety of exercises and drill stations. All of the elements in these technical circuits can be adjusted, such as the exercises in each circuit and the number of touches, to increase the challenge and intensity for players. Goals are utilized in these sessions to create small sided games that will improve the ability of your players to find space, to play with pace and to develop situational awareness. The number of touches, time limit and the addition of a joker are just three ways these drills can be adjusted to increase the level of competitiveness. The final chapter provides drills for improving the movement and positioning of your players in the 4-3-3. This includes how to create lines of attack that get the ball from the defensive midfielder to the front line, along with moving with speed to confuse the opposition. The 4-3-3 is rapidly coming back into fashion as the formation of choice for elite sides. It presents you with flexible and extensive array of attacking options compared to a more rigid 4-4-2, and when played well it can be very difficult to defend against. However, playing the 4-3-3 effectively is about much more than just putting your players in the right positions and telling them where to run. They need to be trained using drills focused on the mindset, tactics and technical skills needed to play the 4-3-3. The 4-3-3 is the favored formation of many elite teams, including the Portuguese national side, Barcelona and Liverpool. However, whether they’re university teams or junior sides, players at every level can be trained to play the 4-3-3 more effectively harnessing the drills in Training Sessions for the 4-3-3. WORLD CLASS COACHING is recognized globally for the quality of its soccer coaching resources, which are used by over 40,000 soccer coaches from around the world. We wouldn’t be offering Training Sessions For the 4-3-3 unless it achieves our exceptionally high standards. However, if you are not 100% satisfied with the quality of Training Sessions For the 4-3-3 after six months of implementing its small sided games and exercises then please contact us for a no quibbles refund. Formations rise and fall in popularity all the time, and one formation enjoying a resurgence is the 4-3-3. Now that the defensive frailties of the fashionable 4-2-3-1 are becoming exposed, elite coaches are returned to this tried and tested formation that harnesses the talents of today’s agile and versatile players. Now you can take your own team’s ability to play the 4-3-3 to the next level with Training Sessions for the 4-3-3. With drills covering finalization, technique, tactics and offense, Training Sessions for the 4-3-provides you with everything you need to improve your team’s ability to play this highly attacking formation. So join the elite coaches returning to a formation that dominated soccer for decades and rediscover the offensive power of the 4-3-3. P.S. Training Sessions For the 4-3-3 provides all the drills you need to develop the mindset and technical skills needed to play this highly attacking formation effectively. From finalization exercises to technical circuits to offensive plays, everything is covered to improve your team’s ability to play the 4-3-3 at a technical and tactical level. P.P.S If you are not 100% satisfied with the quality of the soccer coaching resources in Training Sessions For the 4-3-3 after six months then we will refund your purchase in full, no questions asked.